James Hanna having his knee scoped this past Saturday made him unable to even make the trip to Philadelphia. Ronald Leary was also unable to go due to his injured groin, which should heal in time for him to play this Sunday against the Atlanta Falcons. The surprise came with Russell being kept inactive. Early last week everyone within the organization spoke highly of Russell, showing excitement that he would have his opportunity to produce on the field. That sentiment really tapered off after Wednesday's practice; the Coaching Staff deciding to not play Russell is telling. DeMarcus Lawrence, Jeremy Mincey, and Jack Crawford were all productive from the Defensive End position on Sunday. It is safe to say that Russell's spot on the 53 will be in question once Greg Hardy finishes out his four game suspension. The Cowboys offense did not look fluid, even before Tony Romo went down with the broken clavicle there were issues finishing drives. 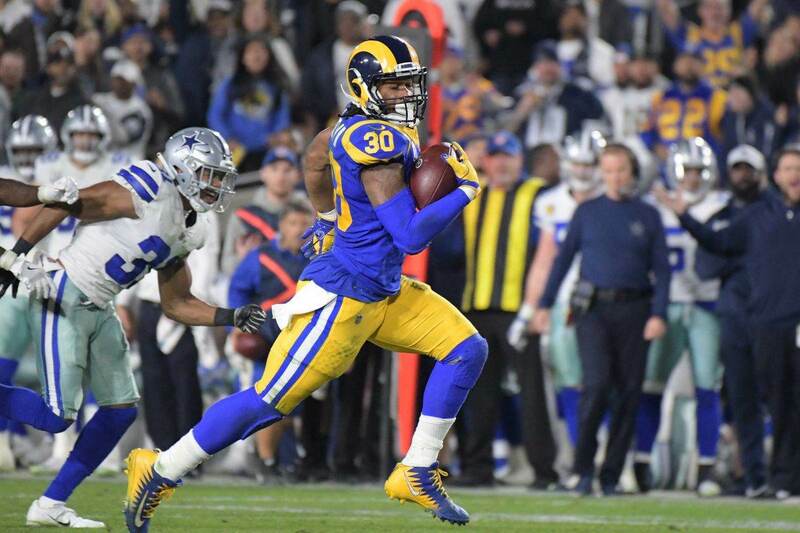 However, I did feel that Darren McFadden set the tone early in the 2nd Quarter for what would turn into a physically dominating performance in all three phases by the Cowboys. McFadden is proving to be a physical player that is not afraid to do whatever it takes to help his team succeed. These are the type of runs I expect to see more of from McFadden. He is close to breaking a big play. He along with Joseph Randle will be key players with Romo missing extended time. This throw shows off the arm talent of Brandon Weeden. Simply put, he can easily make every throw. His challenge comes from reading defenses and being accurate with the football. I personally would like to see him eliminate that slight pat before throwing as that could tip off a defense sitting in zone. Weeden would connect with Terrance Williams on another Slant against a Cover 0 look from the Eagles. For some reason Eagles Cornerback Byron Maxwell was playing about ten yards off Williams while shading Williams on the outside. Maxwell invited the Slant and with no Safeties in the defensive backfield, Weeden and Williams ran the play against air. 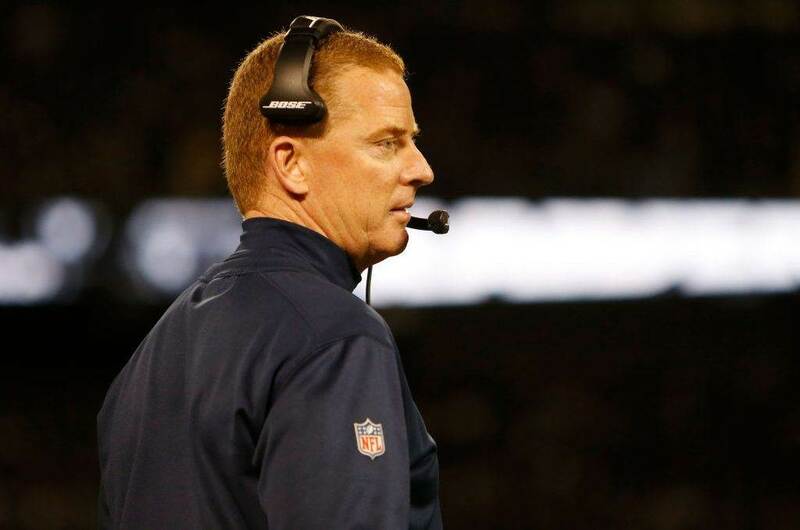 Brandon Weeden will have to make throws down the field in order for the Cowboys to be successful. He has the arm to challenge teams vertically and if he is able to complete some passes over twenty yards he will open up running lanes for Randle and McFadden. If there was ever a time to believe we may see another Doomsday Defense the time is now. At times it looked as if Ed "Too Tall" Jones, Randy "The Manster" White, D.D. Lewis, and Everson Walls were lining up on Sunday. Ignore the caption; Brent Celek (87) is the player who was assigned to block Lawrence on this play; as you can see, he does not even get a hand on him allowing Lawrence a free run at DeMarco Murray. Also, take notice of the discipline and unselfishness shown by Mincey. He sealed off the backside and any hope for a cut back. The entire Defensive Line was able to get up field and push the line of scrimmage backwards, the play had little chance for success. This zone read run by the Eagles had little chance at success as well. Mincey immediately beats Jason Peters off the line gaining instant penetration into the backfield. Allen Barbre (76) also fails to get a hand on Mincey. Tyrone Crawford beat the cut-off block and Nick Hayden kept Jason Kelce from getting to the second level. Sam Bradford saw quite a lot of this on Sunday; the Cowboys were able to get home while only rushing four. Tyrone Crawford commanding a double team made it possible for Mincey and Davon Coleman to hit Bradford. Kelce was so concerned with Crawford he abandoned his gap allowing Mincey and Coleman to converge on Bradford. I believe the other rusher was Jack Crawford, who was also able to move his man backward. This play was all about the effort of Byron Jones. His play on the ball allowed for the deflection right into the hands of an alert JJ Wilcox. I will give Wilcox credit; for a player who has had problems being where he needed to be in the past, he has shown to have improved in that area these last two games. 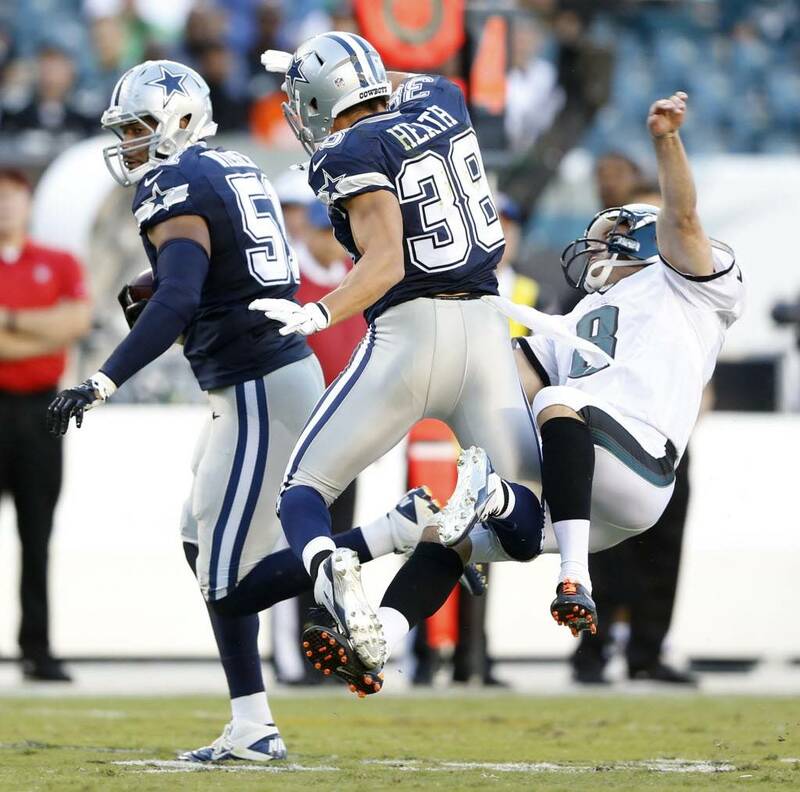 This throw should have never been made, but you cannot take away from Sean Lee making the play on the ball. Throughout his career, Lee has shown ball skills and has a knack for making a big play. He was all over the field on Sunday and looks comfortable playing Will Linebacker in Rod Marinelli's defense. If he stays healthy, he will start drawing comparisons to Hall of Famer Derrick Brooks, who was a dominant Will Linebacker in a similar defensive scheme. If you take away the final drive, where it became clear the Cowboys were sitting back to not allow the big play, the Eagles were only able to gain 146 yards. The defense was simply dominating and there is no other way to look at it. They were even able to completely eliminate Darren Sproles from the game, who I highlighted as the Eagles' most dangerous weapon. While there were some drops, the play of Brandon Carr, Morris Claiborne, Tyler Patmon, and Barry Church cannot be ignored. The improved pass rush has definitely allowed the Secondary to play aggressive and not have to worry about being in coverage for five or more seconds. Special Teams deserve a lot of credit. Danny McCray with the block, Kyle Wilber with the scoop, and Jeff Heath with the liver quivering thump block. 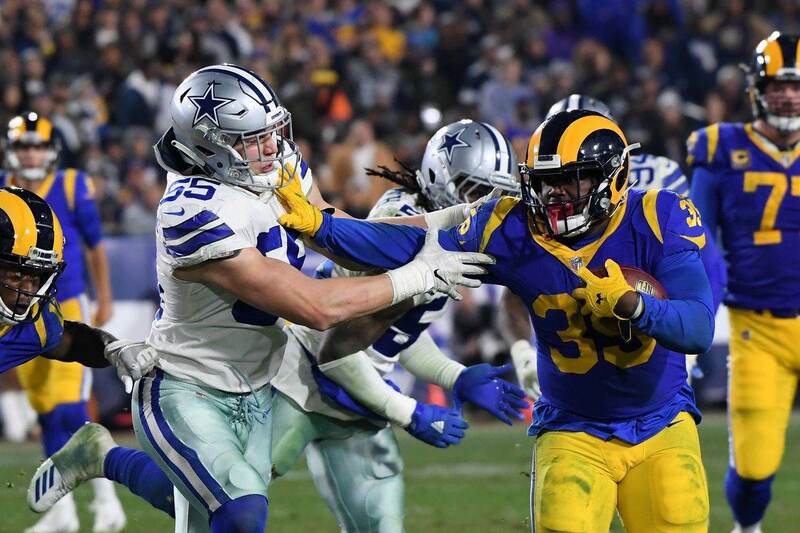 This was a huge play for the team, that was set up by the effort shown by Byron Jones to draw the personal protector to him. Chris Jones also kept Darren Sproles from being a factor at all with his exceptional directional Punts.